While out in Texas competing in the 2016 Dr. Pepper Dallas Cup, the Placer United U17 and U16 boys took time off from their busy schedule to visit SMU. Founded in 1911 the nationally ranked private university is a distinguished center for teaching and research. 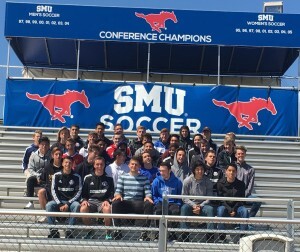 SMU has about 11,000 + students and is known for its small classes, leadership opportunities, international study and innovative programs. 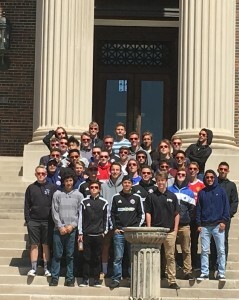 The boys really had a good time taking in some of the great sights of the campus. 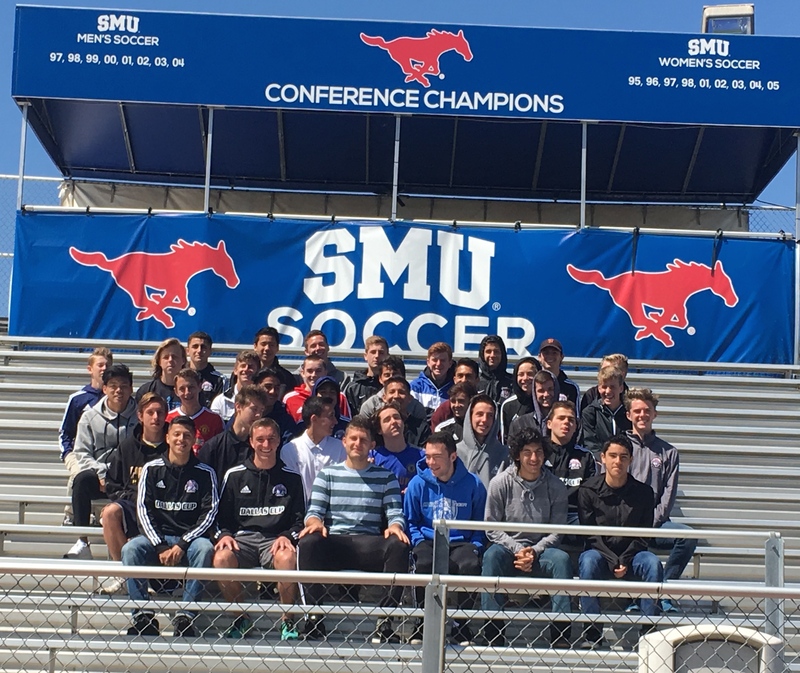 They got a first hand look at the SMU Mustangs soccer stadium and the Gerald J Ford Football stadium which holds about 32,000 fans on game day. 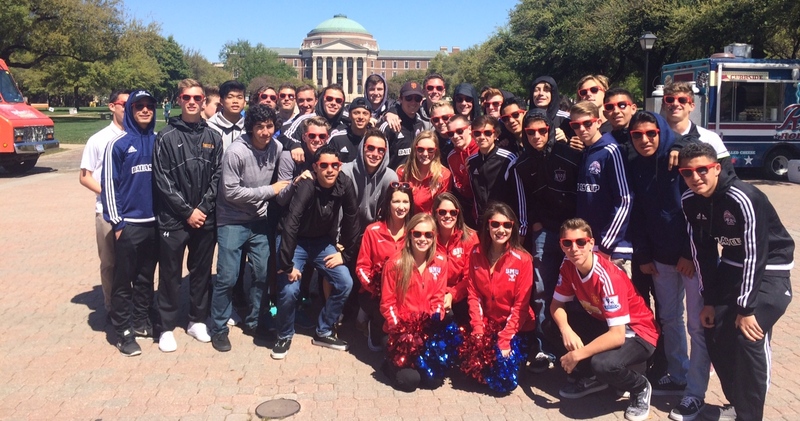 The boys and coaches day was really brightened up when they got to pose for photos with some of the SMU cheer leaders.